Today, I have tried Brizzly. 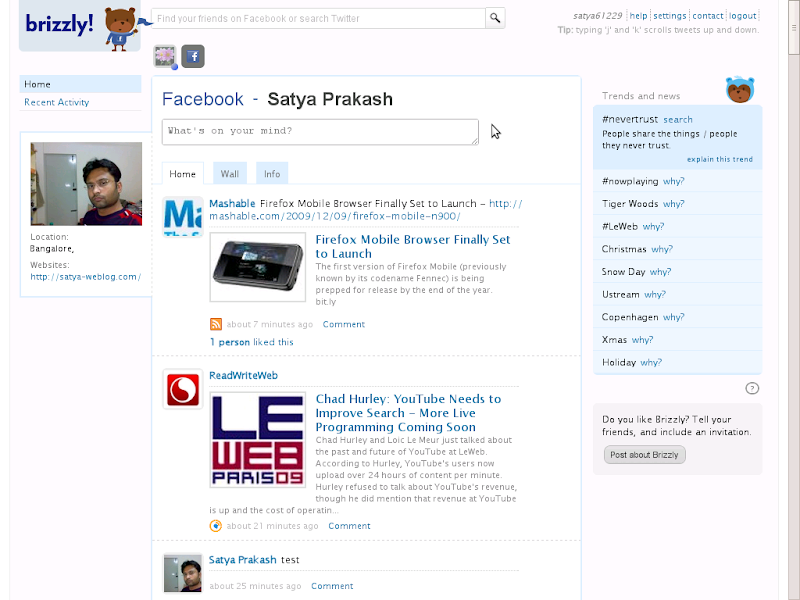 It is a Google Chrome browser extension. It is a perfect extension if you are using fast browser Chrome on your system and you also regularly use Facebook and Twitter application. As I have experienced it is fast and works well for both Facebook and Twitter social networking application. It does not consume much memory and light on your system. It is easy and simple to use. I have not used all features of Brizzly, but whatever I have used till now, I have found it good. Ok thank you Satya i will try now.